A San Antonio-based developer is planning a skyscraper in downtown Austin that would soar 850 feet high which, if built, would make it the city’s tallest building. Lynd Development Partners is teaming with Dallas-based Lincoln Property Co. on the proposed mixed-use tower, which would be built at 600 Guadalupe St., Michael Lynd Jr., president and CEO of The Lynd Co., said in an interview with the American-Statesman. The tower as currently designed has 62 stories, although ultimately there could be more, possibly up to the “mid-70s” range, Lynd said. 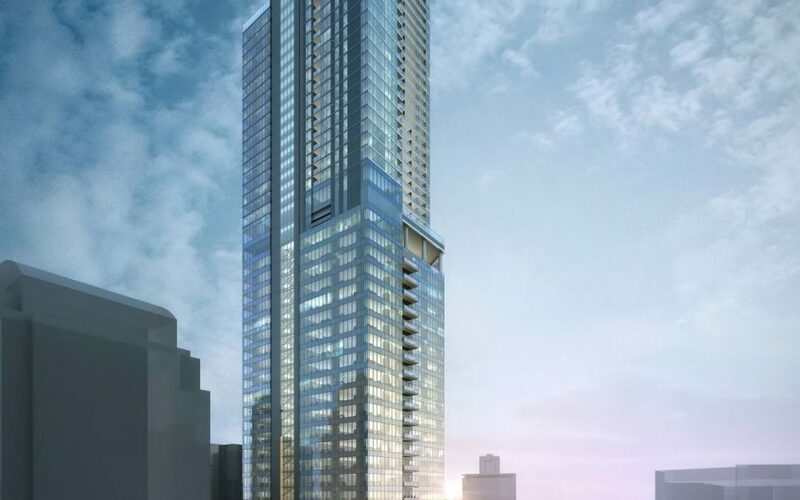 At 850 feet, it would eclipse both the 56-story Austonian condominium high-rise, at 683 feet tall, and The Independent, a 58-story condominium high-rise under construction next to Seaholm that is on track to become Austin’s tallest building, at 685 feet. Lynd’s tower would have more than half a million square feet of office space, roughly the same amount as in the Frost Bank Tower at East Fourth Street and Congress Avenue, plus more than 300 luxury apartments, as well as ground-floor retail space, Lynd said. The proposed project would be built in the block bounded by West Sixth, West Seventh, Guadalupe and San Antonio streets, now home to an Extended Stay America hotel. Lynd said his company has the site under contract from Extended Stay America for an undisclosed price. Lynd said the firm will be submitting plans for the project to the city of Austin in the near future, and anticipates breaking ground in nine to 12 months. “We’re moving full speed ahead,” Lynd said. The office portion of the project would open first, with space ready to occupy just over two years after breaking ground. The entire project is expected to take four years to complete, Lynd said. Read the full story and see pictures of the project by Shonda Novak.